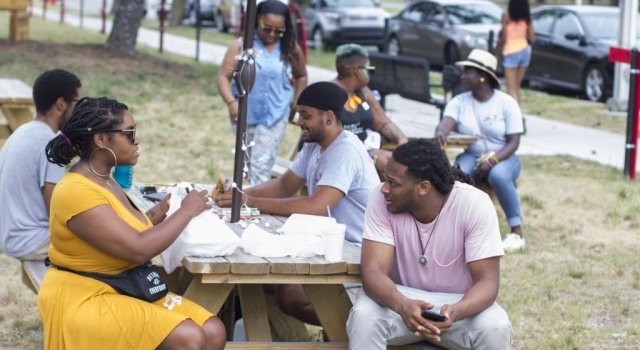 Under-resourced neighborhoods are often rich in physical space, community organizations and networks, resident expertise and leadership, and history. 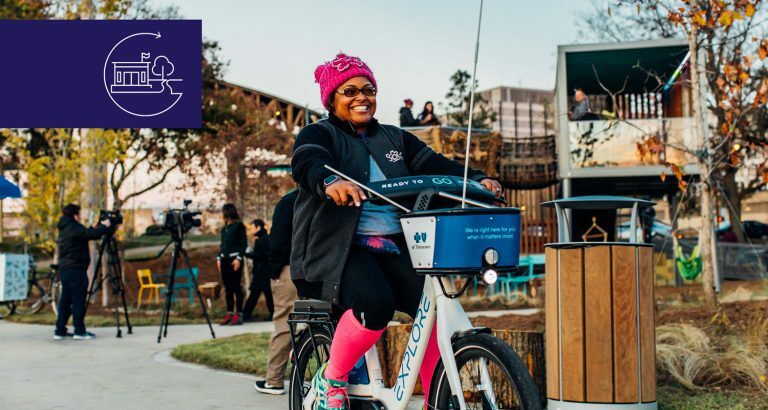 Working with communities to make the most of these assets opens up new possibilities for strengthening the civic commons while realizing the inherent potential of historically disadvantaged communities. Detroit’s Fitzgerald neighborhood shows what this principle looks like in action. Hard hit by decades of blight, Fitzgerald faced a glut of empty houses and overgrown vacant lots scattered across nearly 400 parcels of land. 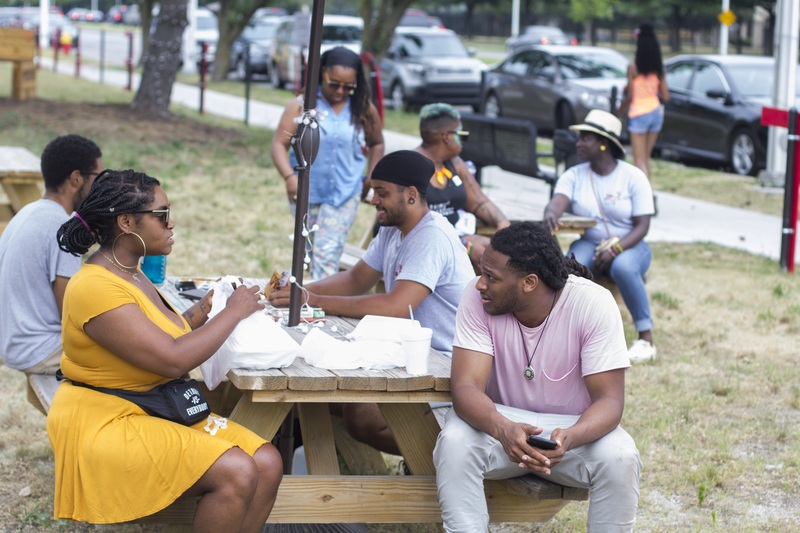 As part of the Reimagining the Civic Commons initiative, the city and the Fitzgerald community, in partnership with nonprofits and philanthropy, transformed 2.5 acres of vacant residential parcels into Ella Fitzgerald Park, which opened in July 2018. 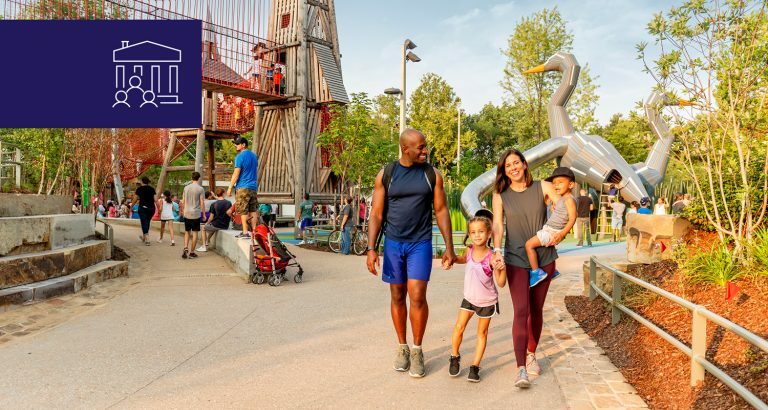 This park – which includes a playground, basketball court, and plentiful green space – represents an important investment in a neighborhood hard hit by years of economic decline. The park arose out of strong community demand but, initially, some in the neighborhood were skeptical. Given the history of disinvestment in Fitzgerald, many residents found it difficult to believe that the park was being constructed for them. Robust community engagement and a collaborative planning process helped shift this perception. 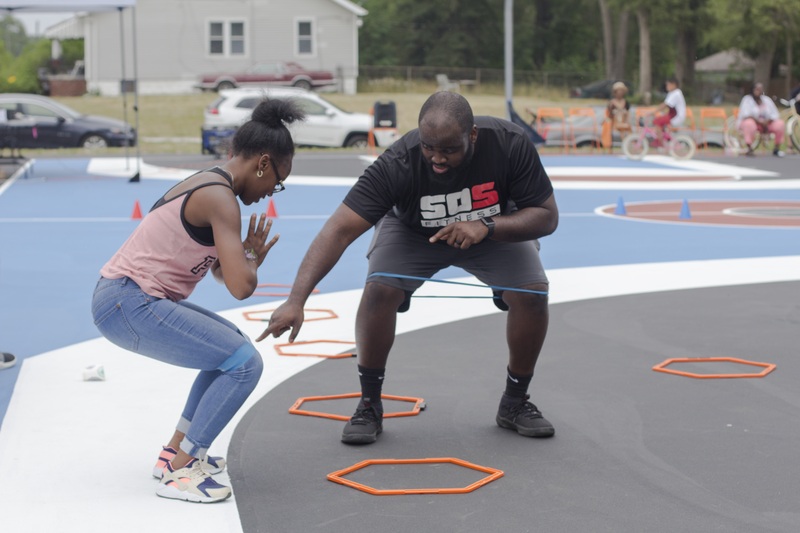 From community meetings to pop-up outreach to prototype bike lanes made with temporary paint, the project team invited residents of all ages to contribute to the park’s design. Residents also selected the park’s name, which recalls a former elementary school in the area. 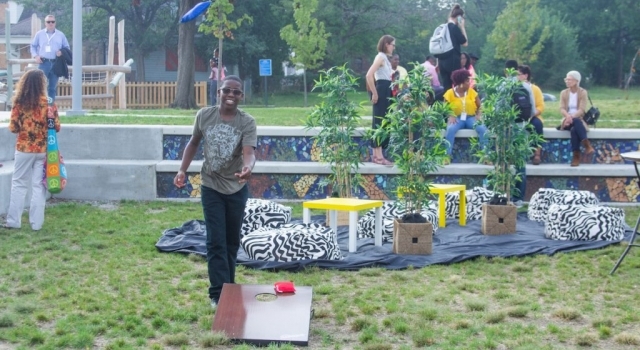 At every stage, the process encouraged neighborhood residents to take part in public life and make the park their own. Look for latent possibilities. 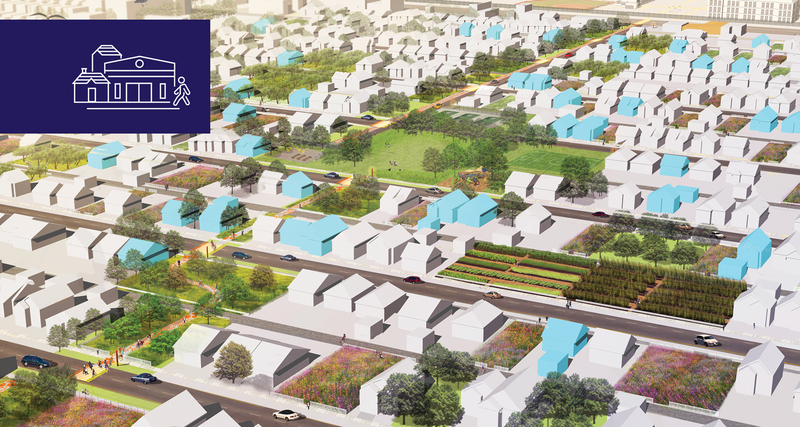 Where others saw vacant lots and abandoned houses, the Fitzgerald project team saw opportunity. The team’s fervent belief in the value of Fitzgerald’s existing assets—including both vacant homes and empty parcels as well as area residents themselves—inspired others to reconsider what was possible for the neighborhood. This shift in mindset among those involved—including representatives from the city of Detroit, local nonprofits, block club leaders, and people in the neighborhood—helped reveal assets that might otherwise have gone unnoticed. Meet people where they are. 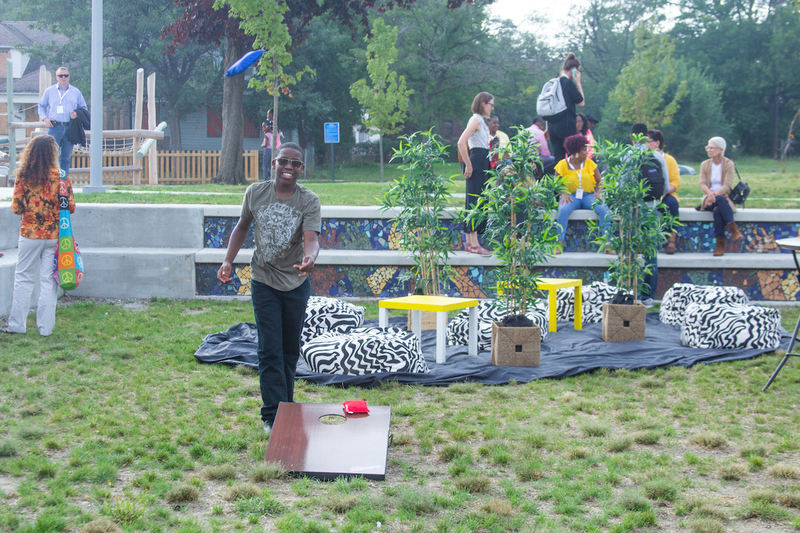 When the Fitzgerald project team learned that their big public planning meetings weren’t reaching much of the neighborhood, the team began hosting informal pop-ups on vacant lots to engage with passersby. 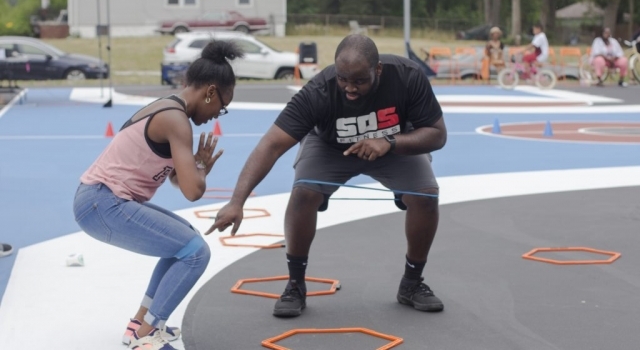 Adopting outreach approaches that don’t require people to change daily routines can lower the barrier to participation and engage a wider cross-section of the community. Pay attention to the history of a place. Years of long-term disinvestment made Fitzgerald residents dubious of pledges from city hall. The Fitzgerald project team worked to address this skepticism by finding ways to honor the history of the community. The decision to name the park after a beloved community institution—Ella Fitzgerald School—demonstrated attention to what had come before and reaffirmed that the project was created for and with the Fitzgerald neighborhood. Case studies crafted in partnership with The Aspen Institute’s Center for Urban Innovation. With special thanks to Jennifer Bradley and Jessica Lee.